Multi-input prediction models are gradually finding their places in the arena of social and economic sciences to assess, locate and address the complicated socio-economic issues arising around the globe. These models treat the problems as the output aroused from a complex interaction between a range of variables linked with physical, socio-cultural, economic as well as ambient political systems. The discussion on dropout from the education system belongs to the core of the educational researchers. The researchers within this domain are attempting to develop the ‘tools and techniques’ for efficiently demarcating the space with a given degree of susceptibility. The scope is to drop out and examine the internal functions of the interactive variables associated with the process. 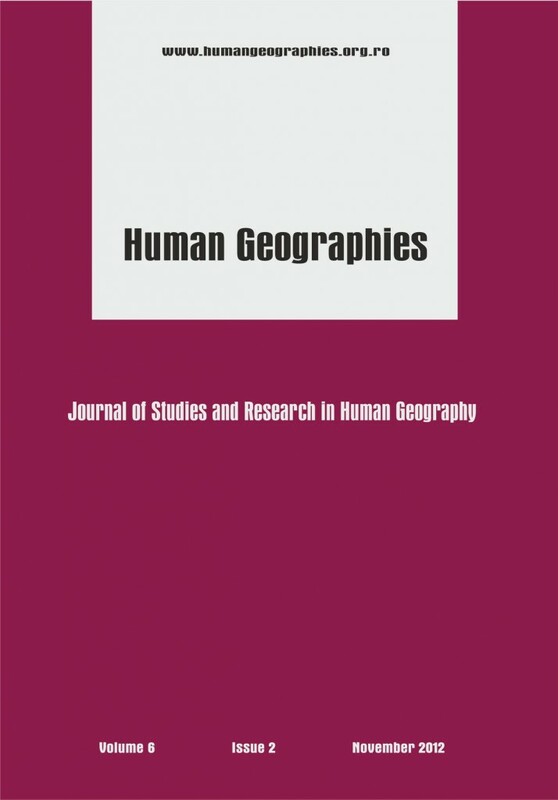 In the present study, we try to apply the fuzzy logic in mapping the spatial variation of the susceptibility of school dropout in the district of Purulia, a backwards district in India regarding achieved level of human development. The training datasets for building the fuzzy model based on the available secondary data from different reports published by the Government and a range of primary data collected through a socio-economic survey. The model output is an index, namely the Index of Susceptibility of School Drop Out (ISDO) which reflects the levels of susceptibility to school dropout at different parts of the study area. The proposed model should allow the success within the larger social and economic system. New approaches to sustainable rural development: Social farming as an opportunity in Europe? The so-called “Green Revolution” has marginalized and depopulated many rural areas, but economic diversification has emerged since the 1980s. Consumer appreciation for organic farming and proximity sourcing has increased, and farmers have responded to this market. Since 2008 the economic crisis has led to importation of low-quality food products at an unsustainable level of energy costs, and the lack of employment opportunity has led people to seek economic opportunities in the countryside, producing foods with ecological criteria for short food supply chains. Within this scenario, Social Farming (SF) has appeared as a multifunctional innovative strategy. It gives a return to society through the production and processing of agricultural products by incorporating direct social benefits in employment, training, and therapy or rehabilitation of groups at risk of social exclusion. SF offers social cohesion, empowerment of vulnerable groups, local development in rural and peri-urban settings, and an equitable balance between revenues and costs to society. The critical current of urban regeneration scholarly research focusses on neoliberal urbanism. In concentrating on the neoliberal economic, business and financial dimensions as driving forces behind urban change and regeneration, the human dimension of city centres and city centre living is frequently overshadowed. This paper explores the human dimension through the example of Engage Liverpool, a citizen and neighbourhood organisation. This paper investigates citizen engagement with urban development in the setting of the city centre and central waterfront in Liverpool. The paper argues that despite the dominance of global neoliberal forces within regeneration, citizen and neighbourhood organisations such as Liverpool Engage may have the potential to facilitate citizens’ participation as change makers in urban (re)development. The post-socialist transition processes in Serbia stepped up the existing disparities in development between the regions as well as between the municipalities. In the attempt to contribute to the EU and national knowledge on this topic, this paper focuses on interrelation between migration and development inequalities in Serbia in terms of negative natural increase, traditional emigration and small scale immigration, which challenge the balanced distribution of Serbian population and affect social change. The objective of the paper is to explore the interaction between migration and inequalities in transition economy of Serbia and to identify the underlying determinants. The indicators used in the regression analysis are the net migration rate for the inter-census period 2002-2011 and the set of demographic, socio-economic and geographic quantitative indicators. The findings reveal the interaction of migration and level of development in Serbia suggesting the importance of geographic location besides the socio-economic factors . The contribution deals with the impact of the Common Agricultural Policy of the European Union on agriculture of the Czech and Slovak Republic, focusing on livestock production. The analysis is focused on ten years’ development of livestock production after the entry of the Czech and Slovak Republic into the EU. Both countries are evaluated in the mutual comparison of selected indicators such as gross agricultural production, stock of animals, intensity of production or agricultural employment. Part of the contribution is the demonstration of the regional differentiation and trends in livestock production taking place in the Czech and Slovak Republic. In conclusion, we examine the consequences of decline in livestock production in the Czech and Slovak Republic reflected in the foreign trade between these countries, and it is closely connected with state sovereignty in livestock products. The quality of dwelling, one of the main components of the urban and rural living conditions, is the result of political, legislative, economic, demographic contexts. The present paper approaches the complex issues of dwelling quality in the Romanian Danube Valley, based on the territorial disparities (LAU2 level) of three types of statistical indicators: dwelling stock (% of finished dwellings, % of finished dwellings out of the total number of dwellings), dwelling development indicators (living floor/m2 dwelling, living floor m2/inhabitant, density of dwellings) and comfort indicators (access to drinking water, sewerage, electricity, etc.). Differences in the Danube Valley dwelling quality are revealed by the Dwelling Quality Index (DQI).